Last week, two of our dearest friends sent us an email that they were leaving New York city for a new job in another state. Over the years, this has happened several times with an increasing frequency as we get older. That’s the problem with living in New York. We come here, drawn by its constant change, its promise for ever-shifting opportunities, its inability to stop and stay still. But it’s exactly those qualities that guarantee that whatever group of friends you become a part of, whatever tribe you build, they will be transient. New Yorkers, or at least those who like living here, leave New York mostly for two reasons. Some of them get a job somewhere else, forcing them to move. Others start families and the absurd costs of child care and education in New York city, where day care could easily cost $20,000-$30,000 a year (that’s day care, not college), drives them out of the city, somewhere more affordable. So, we are left behind, growing older in the city we love so much, with fewer and older friends still nearby, and an increasing number of them far away, staying in touch via email or the occasional phone call, or if we’re lucky, a visit to their old stomping grounds. I’ve always accepted the fluid nature of my circle of friends. 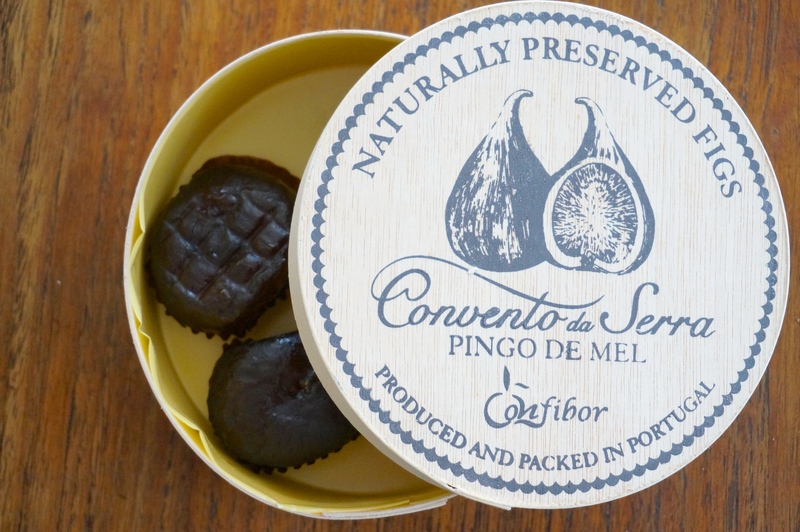 Though they come and go in and out of our lives, the close, intense friendships we once shared remain behind, like these figs preserved in syrup, growing sweeter with time, but never completely losing the taste it had when it was still fresh. Due to the Thanksgiving holiday, I didn’t have a post for you last weekend. 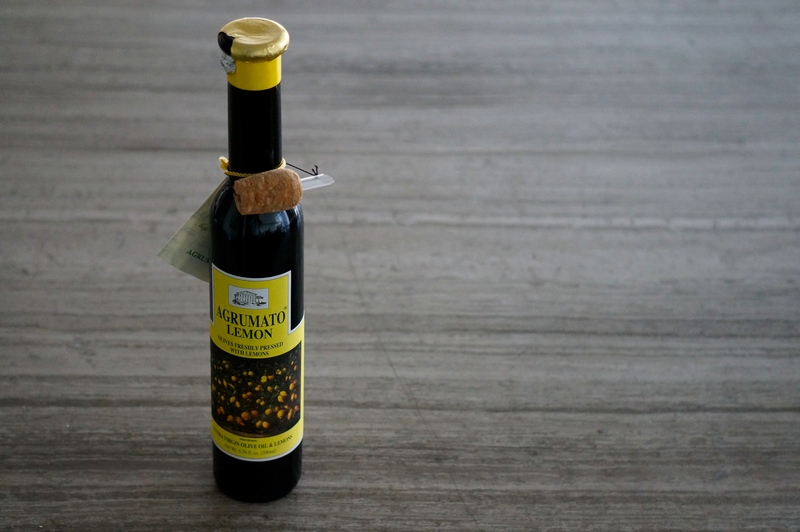 I do have something coming up for next weekend, but for now I wanted to share with you this amazing olive oil. 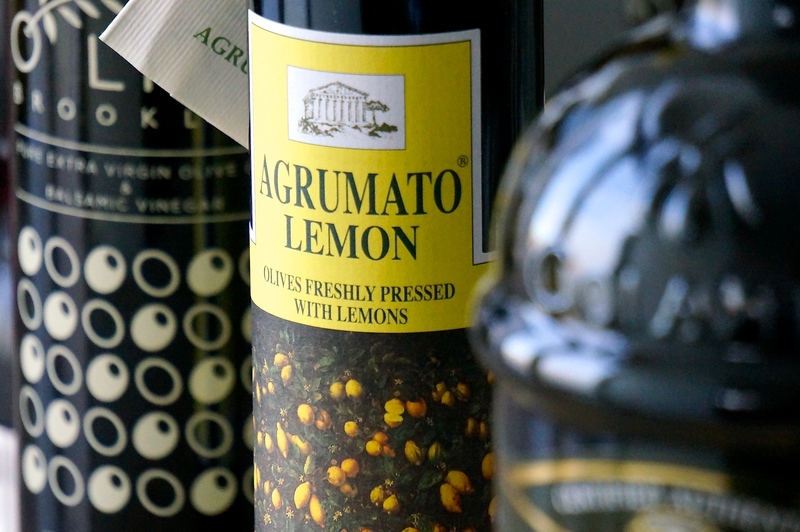 It’s called Agrumato Lemon and it’s an olive oil that is actually pressed with lemons. The result is a classic flavor combination: grassy, smooth olive oil with sharp, zippy lemon. The first time I got this (Steve gave it to me as a gift), I was skeptical. I thought it would taste artificial or that the lemon would be overpowering. But in fact it’s neither. This isn’t cooking oil. It’s a condiment, as good olive oil is supposed to be used. Drizzle it over roasted veggies or make a simple vinaigrette with it. Our favorite way to use it is to drizzle it over grilled chicken breasts and then top them with some fresh or dried oregano. You can buy it on Amazon or at Zingerman’s. This week we are on vacation in Italy with a group of friends. We rented a house in Tuscany and are living the country life, Italian style. I wish I could report many amazing meals, but in our three days here we’ve had only two good meals. One was cooked by the Italian cook who cooks for the house we rented and the other one was at a restaurant in Siena. The others have been so-so to downright bland. But we have several days to go so hopefully our luck will improve. No recipe today either. Instead, I have harissa. Harissa is a condiment commonly seen in North African countries like Tunisia, Algeria, and Morocco. It’s usually a mixture of peppers (almost always hot), garlic, spices, and oil, ground into a paste. I’ve tried several brands of harissa, especially in France, where moroccan and tunisian food is very common. 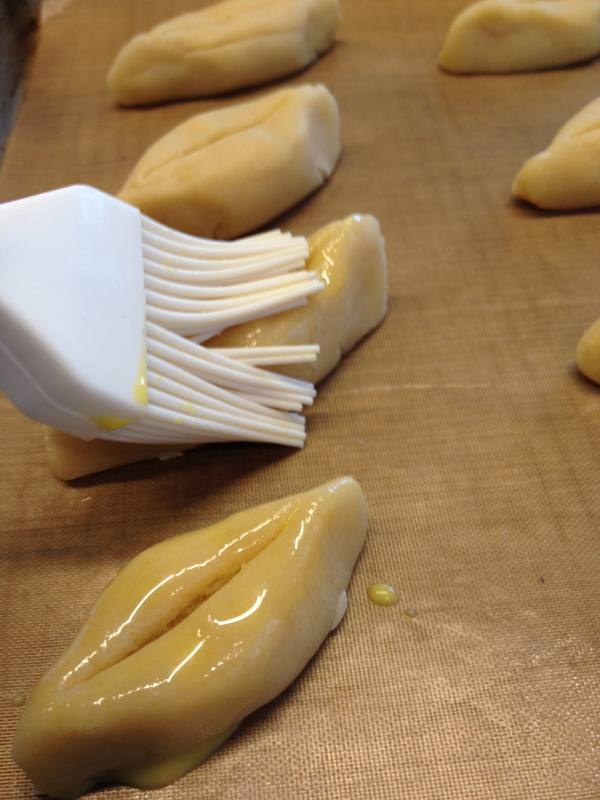 They all tended to be thick pastes with concentrated, pungent flavor. 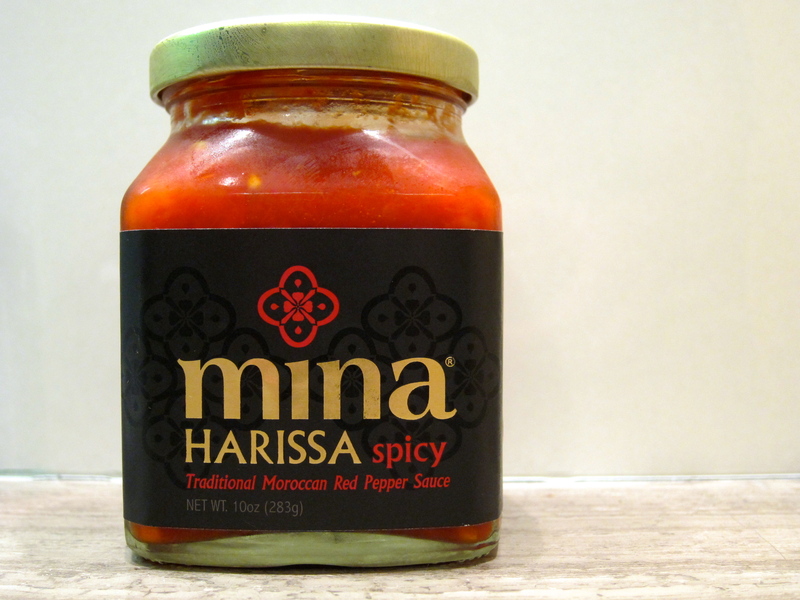 It wasn’t until I happened to find Mina harissa in New York, however, that I found one I absolutely loved. Unlike much of the other harissas I tried, which were canned or available in a tube, this one is in a jar and can be refrigerated for a long time once opened. 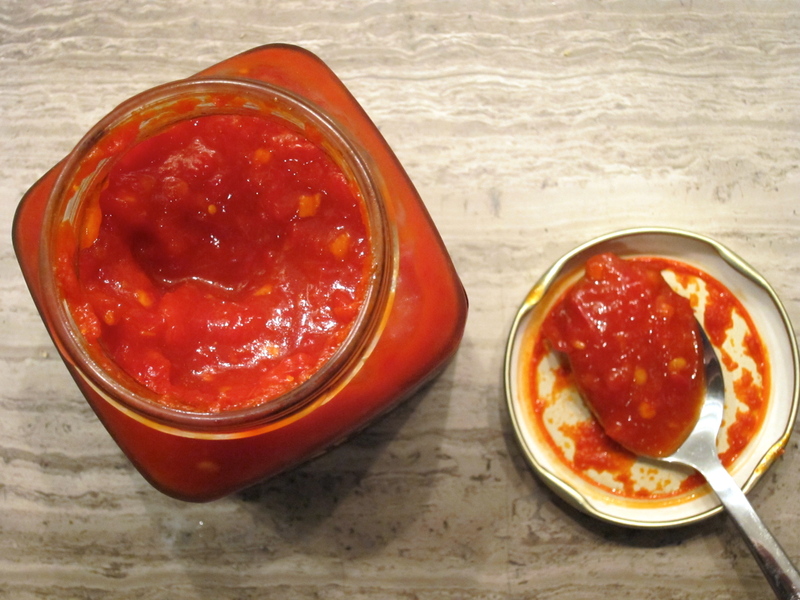 It’s not too spicy (there’s even a sweet version) and it tastes of fresh peppers and garlic. Its bright red color is matched by its bright flavor. We love it on its own or mixed with some olive oil and lemon juice to create a spicy dressing for meat or fish. I’ve also mixed a teaspoon of it with a tablespoon of softened butter and put a pat of that on top of steaks. I bought Mina in two specialty food stores in the New York area but you can also buy it at Crate and Barrel or online at Amazon . A couple of years ago, Steve and I visited Cyprus for a few days. We rented a car and drove around, visiting some of the villages that have been experiencing a renaissance, after many years of neglect. Agrotourism has opened up investment opportunities and as a result old houses have been restored, traditional foods have resurfaced, and a few are even moving back to the villages, abandoning the cities. We were there around the end of April, which is a perfect time to go. The brutal heat of the summer hadn’t started yet and everything was in bloom. The mountainsides were solid green, broken by large patches of poppies and daisies. It was also the time when citrus trees were in late bloom. Orange and lemon orchards were everywhere. One day we were driving through a village with our windows down and as soon as we approached, we were immersed in the scent of orange blossoms. If you’ve never experienced walking through a blooming orange orchard, put it on your list of things to do. The scent is intoxicating. 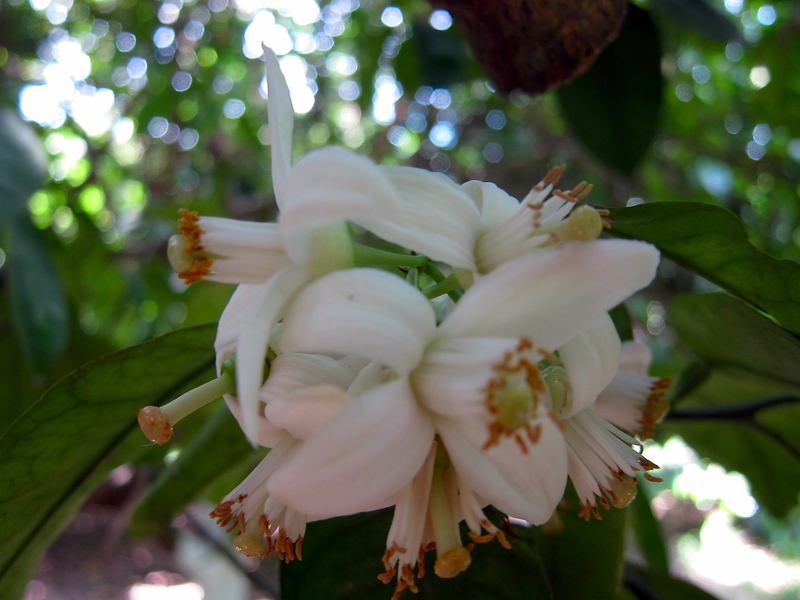 It resembles that of jasmin or honeysuckle but it’s less cloying, more like…well, what you would expect orange blossoms to smell like. But if you don’t have access to an orange orchard, you can have the experience by buying a bottle of orange blossom water. You’ll find orange blossom water in most middle eastern or italian food stores, or some large supermarkets like Whole Foods. It has a strong orange blossom flavor and aroma but it’s unsweetened. A little goes a long way. It also lasts for a really long time in the fridge. There are many things you can do with it (like add a little in a fruit salad) but I have a couple of favorite recipes I can share with you. One is an ice cream that I will post later. The other one is a cookie from the south of France called navette. It means little boat (because of its shape, though they also look like lips to me) and its very simple to make, right in the food processor. The cookies will last for at least a couple of weeks in an airtight container, if you haven’t finished them off by then. The perfect pairing for them? Jasmine tea. Try it. It’s sublime. 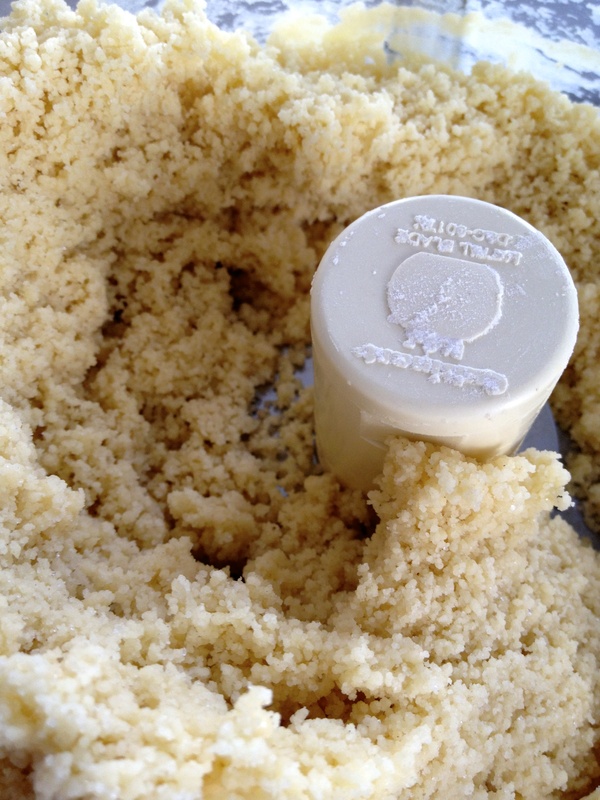 Combine the butter and sugar in a food processor and process a few seconds until they are fluffy. Add the egg and orange blossom water. Pulse a few times until everything is blended. Add all the flour and salt and process a few seconds until mixed. The mixture may be crumbly but if you take a little and press it between your fingers, it should come together. 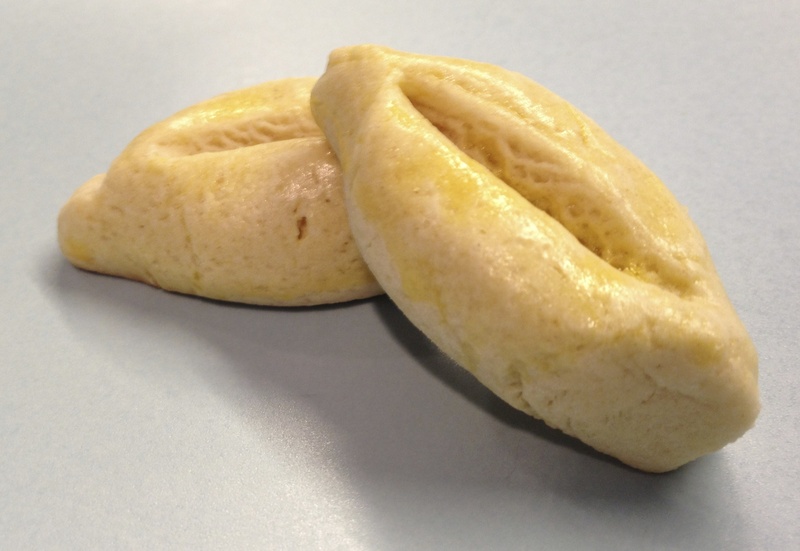 Empty the dough on a lightly floured surface and knead it gently until it forms a ball. Add a little more flour if the dough is too moist, or a little ice-cold water, one teaspoon at a time, if it’s too dry. 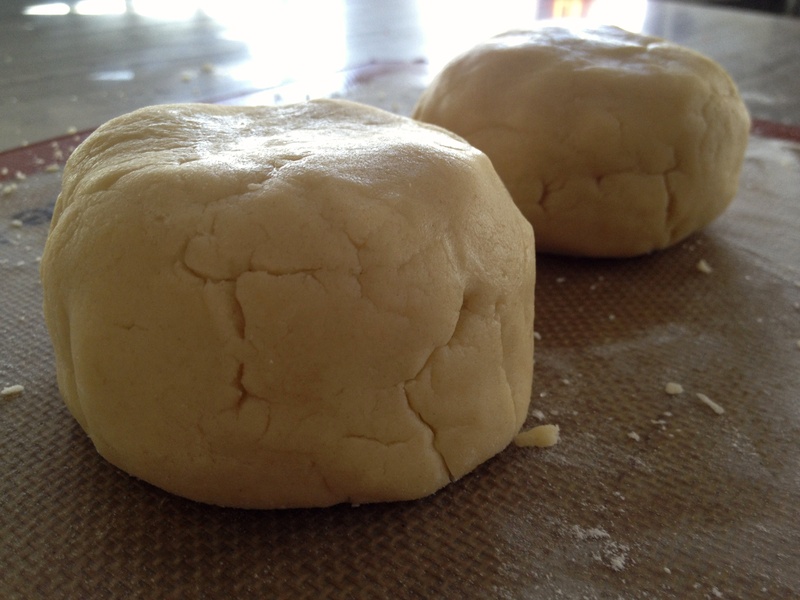 Divide the dough into two disks, wrap each half in plastic, and refrigerate for at least an hour, or up to a day. Preheat the oven to 350F and line a baking sheet with parchment paper. Take one disk of dough out of the refrigerator and divide it into 8 equal pieces. Roll each piece with the palm of your hand on the work surface until it forms a log, about 3 inches in length. If the log comes apart, just squeeze the pieces together. The logs don’t have to be perfect. Cut the log in two with a knife so you have two 1 1/2 inch logs. Repeat with the other pieces until you have sixteen small logs. Pinch the ends of each small log and flatten the top slightly, to form a boat shape. With the tip of a butter knife, carve a deep slit lengthwise down the centre, not quite reaching the other side or the ends. Arrange the cookies on the baking sheet and repeat with the second half of the dough. The cookies don’t rise or expand so you can put them fairly close to each other, though not touching. Brush the cookies with the egg yolk mixture. Bake for 15 minutes, until golden and slightly browned at the tips. Transfer to a rack to cool completely. The dough can be frozen for up to a month. Defrost overnight in the refrigerator before forming and baking the navettes. Last summer, we were walking through one of the food markets in our neighborhood when I noticed a stall that sold horseradish. That’s it. 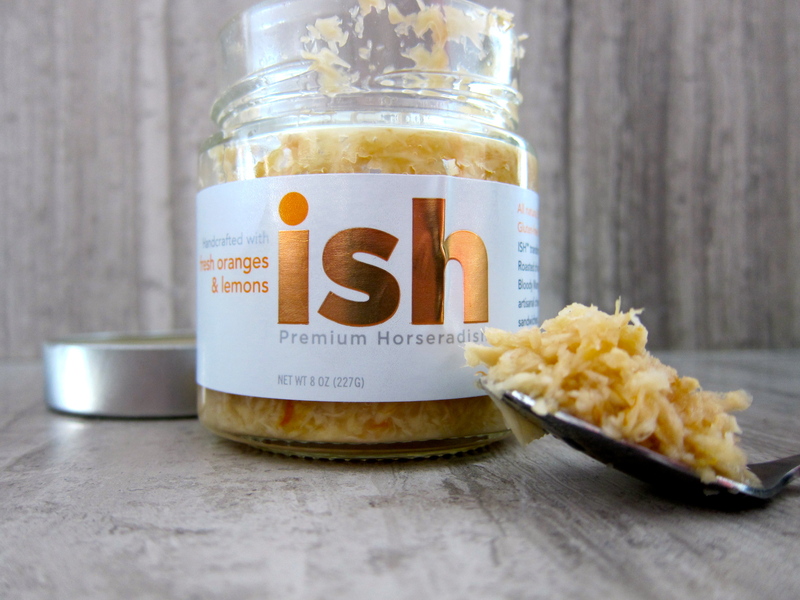 Just horseradish, the prepared kind, that comes in a jar. And there were two versions: beet horseradish and citrus horseradish. The woman selling it asked us if we wanted to try it. “Yes!” I exclaimed, a little too eagerly. I love horseradish. I love the kick and earthiness combination that nothing else gives you like horseradish. This citrus version that I tried was all that and more. By introducing orange and lemon in there it added dimensions of sourness and sweetness that made it pretty much irresistible. Needless to say, we bought a jar and went through it pretty quickly. We put it on fish, eggs, pork, you name it. I’ve had fantasies of making a horseradish ice-cream, but it hasn’t happened yet. The brand is called ish (get it?) and you can buy it on their website here. Or you can look for them in the outdoor markets of New York.